Participating a Lecturer from the University of Information Technology and Communications in the First Scientific Conference of Al-Rashid University College. Dr. Nael A. Mohammed a lecturer from the college of Engineering in UOITC participated in the first scientific conference of Al-Rashid University College. 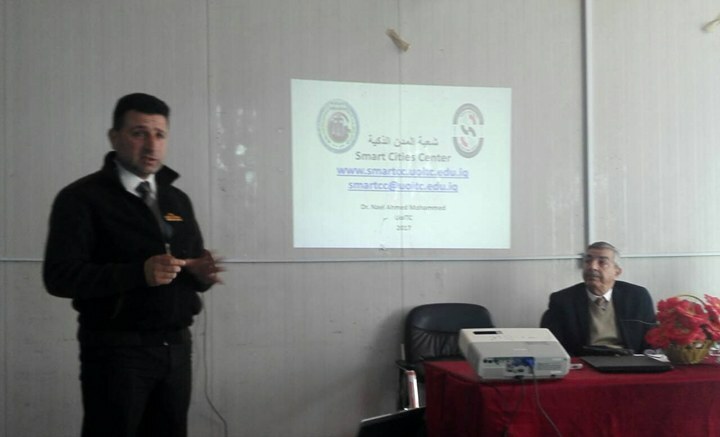 Dr. Mohsen J. Odeh, Head of Urban Planning at the Municipality of Baghdad participated Dr. Nael in introducing the presentation that was about the smart cities. 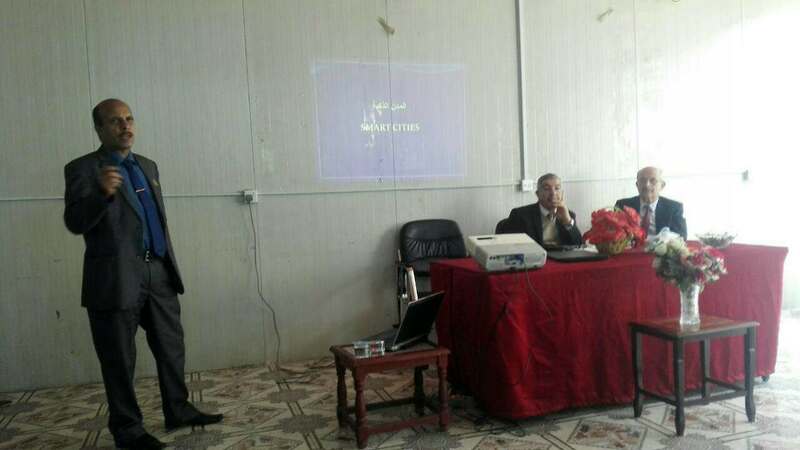 The joint lecture was entitled "Smart Cities" which is a new experience in Iraq and there is a special division in UOITC concerned on the implementation of the Smart Cities project and Dr. Nael is one of the members of this division. The aim of this participation in the first scientific conference of Al-Rashid University College is to introduce smart city technology and services, including the wise management of natural resources, improving the standard of living, services received by citizens, rationalizing water and energy consumption, increasing Arab and foreign investments, increasing the national income and providing more jobs for citizens. It is worth mentioning that the first scientific conference of Al-Rashid University College held at Al-Sheraton Hotel for the period from 27 to 28 December 2017 that was attended by a number of researchers from Iraqi universities and a number of ministries and companies interested in technology and health issues.